Breast revision in Perth is a cosmetic procedure to remove a breast implant or breast prosthesis. Known as ‘explantation’, it is used primarily to deal with breast implant complications. It is possible, in some cases, to combine the removal of breast implants with the insertion of new breast implants. You have capsular contraction or hardening of a breast implant due to scar tissue compressing the implant. You have a leaking breast implant. You have decided you no longer wish to have your breast implants. If you are considering having your breast implants removed or replaced, the first step is to book a consultation with one of our Specialist Plastic Surgeons. They will discuss your circumstances, expectations and any concerns you may have. Pricing and pre- and post-operative care will also be discussed. How is a Perth breast revision performed? Our Perth Specialist Plastic Surgeon use safe silicone gel implants. They do not use, and have never used PIP implants. If you are having your breast implants replaced, it is likely the new implant will be placed in the same position as the previous implant – behind the breast tissue either in front of or behind the pectoral muscle. We will discuss this with you prior to surgery. Does your clinic use PIP breast implants? Our Specialist Plastic Surgeon have never used, and would not use PIP implants. However, the removal of PIP implants, with or without replacement implants, is an increasingly common procedure in light of the PIP safety issue. Assure Cosmetic Centre uses only the highest quality breast implants that are guaranteed by the manufacturer for life. The chance of a problem occurring with the breast implants down the track is very unlikely. The high quality manufacturers we use provide these guarantees with money-back assurance. I have found out I have PIP implants, what should I do? If you have been found to have PIP implants from previous breast surgery, it is important to request a consultation with us as soon as possible about having them removed. While our Specialist Plastic Surgeon have never used, and would not use PIP breast implants, they are highly experienced in breast revision surgery to remove them. Will I be hospitalised for a breast revision procedure? Breast implant removal in Perth is performed in an accredited hospital. You can expect to be discharged that same day or within a couple of days depending on the complexity of your surgery. You will need to attend a post-operative consultation approximately 7 days after breast revision surgery, and again 4 weeks later. Will breast revision surgery leave scars? Scars are an inevitable result of any surgery. However, with breast revision they are only a few centimetres long and fade with time. They are positioned so they are barely noticeable. Are there any side effects of breast implant removal in Perth? Unwanted side effects from breast revision surgery are uncommon. If you are having your breast implants removed due to leakage, you may continue to experience some health issues. If you are having breast implants replaced, possible side effects might include implant rupture, one implant becoming fixed in a slightly higher or lower position than the other, or a capsule of scar tissue forming around the implant. With saline-filled implants, it is possible (although uncommon) that the implant may deflate and require replacement. At Assure, we only use safe, silicone gel implants. Our implant supplier is one of the world’s leading implant manufacturers, Mentor (Johnson & Johnson), credited with very high safety and quality standards. How much does Perth breast revision surgery cost? The initial consultation with your Specialist Plastic Surgeon will cost approximately $185 and take about 30-45 minutes. If a Medicare item applies to your potential procedure then you will be entitled to a rebate from Medicare of approximately $75, providing you have a written referral from your GP or specialist. GP referrals are valid for 12 months and specialist referrals for 3 months. Your Specialist Plastic Surgeon will provide an indication of the likely costs, such as your surgeon’s fee, anaesthetist’s fees and hospital and theatre fees. Your surgeon’s fee includes all post-operative care and nurse dressings. Pricing will vary from case to case, but an indicative range of your surgeon’s fee is $6,000 to $8,000 excluding GST. Anaesthetist, hospital and theatre fees are additional. 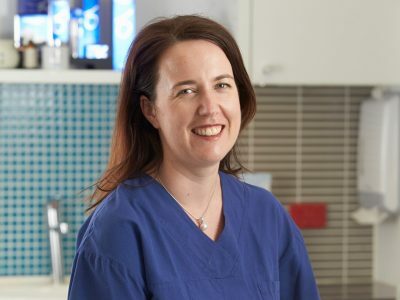 There may be Medicare and private health insurance rebates available for breast revision surgery in Perth depending on strict Medicare eligibility criteria. Your surgeon can provide you with more information, but you would then need to talk to your private health insurer to determine exactly how much cover they will provide and confirm what your final out-of-pocket costs will be. A good starting point is to book a consultation with one of our experienced team at Assure Cosmetic Centre. You will have the opportunity to discuss your concerns and ask questions. You will be provided with detailed information regarding the treatments or procedures that can help you, the expected outcomes, and the costs involved. Click here to make an appointment.